Description: In 2006, Bill Burke focused on expanding the types of knives that he is known for. Though he continues his love for the Fowler style knife, he also wants to create art knives and other styles with the same high performance edge. During this time, Bill also became increasingly fascinated by Japanese knives and Japanese forging techniques. 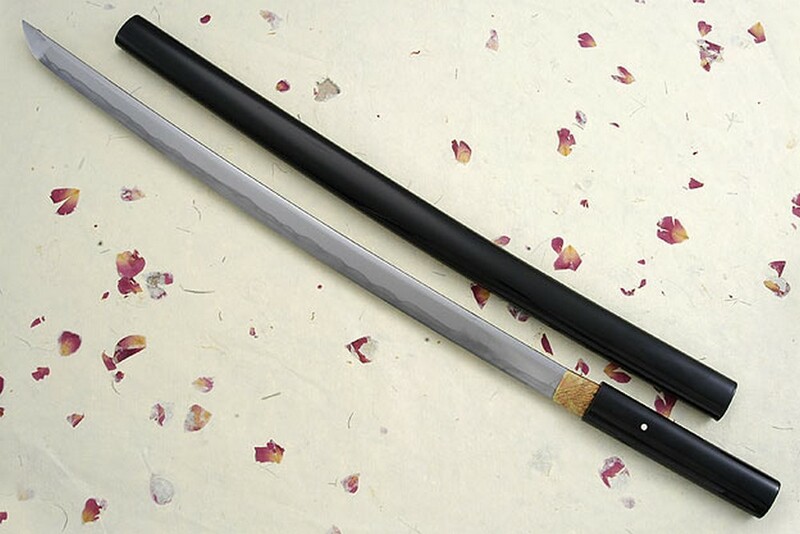 His research led him on a trip to Japan, visiting sword shops and bladesmiths, and eventually resulted in this exceptional wakizashi. 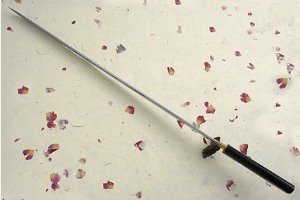 The long, slender blade was forged in the Kobuse style. 1050, 1065, 1084, and 1095 carbon steels were forged and folded together into 30,000 layers. 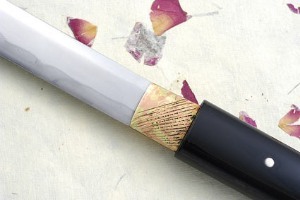 This very high layer count damascus, known as hagane, forms the cutting edge and sides of the blade. 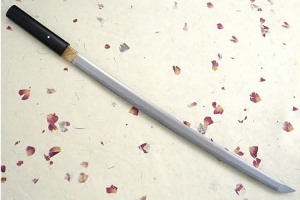 This steel was then forged around a soft, supportive 1018 mild steel spine known as shigane. The blade is tori-sori style and has an even curve throughout the length. 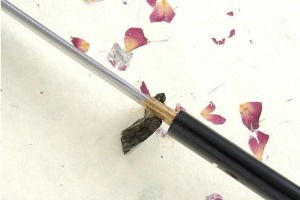 The blade was heat treated using traditional Japanese techniques -- by water quenching and clay tempering. This results in a strong notare hamon (heat treatment line) with gentle, irregular swells. This hamon shows the transition between the soft, supportive spine and the ultra-hard, keen edge. A habaki (blade collar) was forged from Bill's own mokume gane and was formed by incorporating copper and brass. 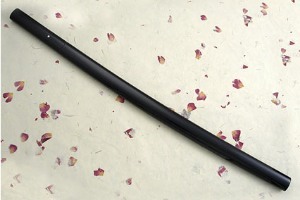 The sheath and handle are formed from alder wood and have been black lacquered. The pin is formed from mammoth ivory. As is traditional, Bill has marked the knife on the tang of the blade. It has his BTB mark as well as a Willow Leaf. All of Bill's Japanese influenced knives are marked with this combination to honor Ed Fowler, Bill's mentor. Exceptional fit and finish throughout!